We covered Proxeus back in April 2018 when the blockchain startup joined forces with IBM to use blockchain to legally register a Swiss business in record time of 1h37. The DigitalSwitzerland challenge took place in Zurich. During the event, Proxeus, along with IBM and other partners, legally registered a company, from start to finish, in record time: 1 hour 37 minutes (instead of 4-6 weeks) using digitized workflows and smart contracts. Unlike in the United States, it’s difficult and time-consuming to incorporate a business in Switzerland. 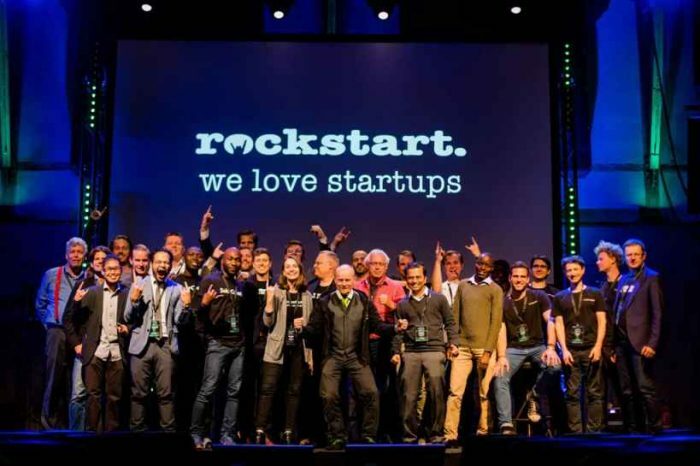 It takes an average a six-week-long, paper-heavy process for Swiss entrepreneurs to legally register their business entity with the government. Founded in 2017 by Antoine Verdon and Patrick Allemann, Proxeus makes it easy for anyone to create blockchain applications that are affordable and compatible with current enterprise systems. 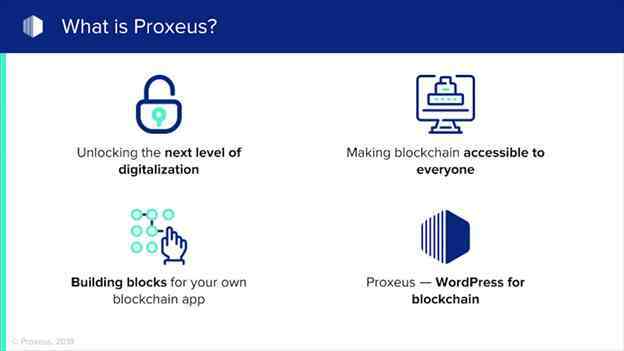 Proxeus aims to be the “WordPress for the blockchain,” making it easy for organizations of all sizes to run their businesses on the blockchain. A lot has changed since then. In March 2018, Proxeus demonstrated the prototype and rolled out the data storage solution in partnership with the Swiss data storage facility MOUNT10. With the partnership, user’s data is secured with military-grade encryption, while still being shareable and accessible. Proxeus enables secure transmission of encrypted data on the client’s computer to off-chain storage on Mount10’s infrastructure. On September 4, Proxeus released the second version of its beta, now with blockchain revolutionary data storage DApp (decentralized apps). Version two comes with a big improvement over the previous version. For the first time, data storage DApp dubbed as “Tango,” allows users to have total control over their digital identity. The secure storage DApp is a fully encrypted, off-chain storage in user-specified storage provider, access and sharing rights managed on chain. It empowers users to register, share, sign and retrieve blockchain-certified documents through an application that runs locally on their computers. 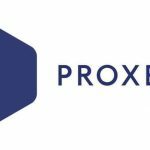 The Proxeus project started back in 2015. 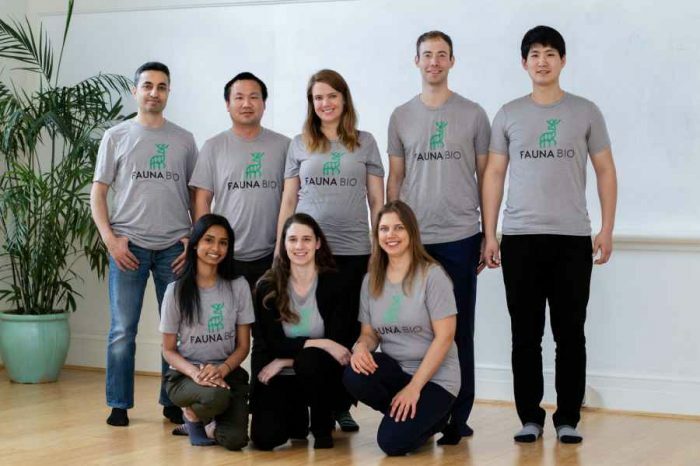 Over the last two years, the company has developed a mature technology and have been testing it with a series of industry leaders, developing operational use cases in various verticals such as: trade finance, tokenization of assets, legal & compliance. Personal data protection and taking control of your data privacy. 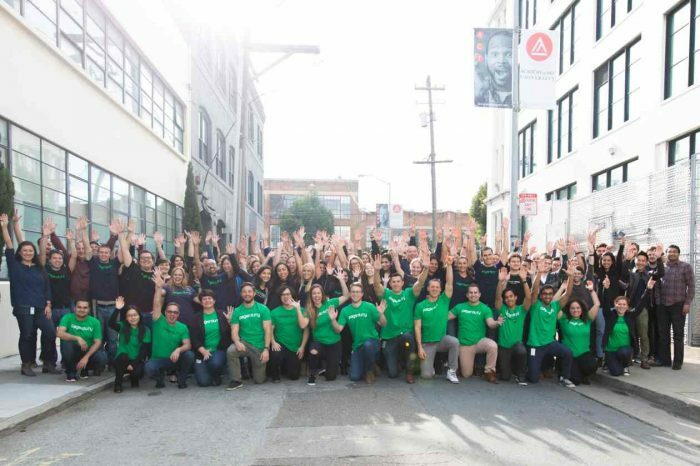 The DApp is somewhat similar to Google Drive, Dropbox or Microsoft OneDrive. However, instead of paying for increased storage plans with Dropbox, you would use the Proxeus token, XES, to supplement the costs of individual files. 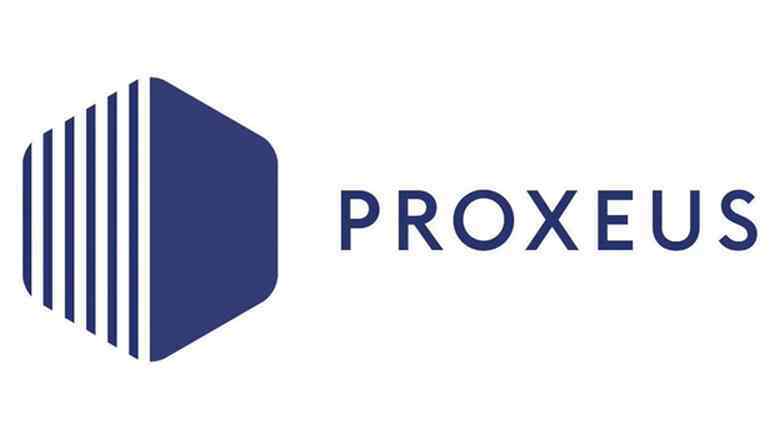 Because it is a decentralized app, it allows Proxeus to connect with any storage provider through blockchain. Proxeus puts this power entirely in the users’ hands, with user-selected storage providers, military grade encryption and blockchain-controlled access rights – meaning no intermediaries, no international copying between clouds, no data-mining, and full GDPR compliance. Proxeus puts extra efforts on security. Secure collaboration is increased in Proxeus Beta 2 Data Storage DApp. In version 2, user “holds the key” to every file, this enables Proxeus storage DApp to let users decide who has access to their data, and when it is to be removed – all backed by the immutability of the blockchain. The service has the potential to make a significant impact on the secure and controlled sharing and selling of data and IP, as it can eliminate intermediaries, international copy between clouds and data-mining. By storing encrypted data in secure facilities off-chain, while putting advanced access controls on-chain using smart contracts, Proxeus has essentially created a solution where people can create their own private/public registers – and become their own data providers. This opens up new opportunities and potential for users. Proxeus’ data storage DApp also provides the ability to embed a near-infinite level of depth in file-linking, presenting the entirety – and granularity – of a user’s digital identity at the same time, a concept similar to the hyperlink for the web. The DApp data storage platform eliminates the traditional standard subscriptions and contracts, and instead uses a pay-as-you-go payment model that works on a file-by-file basis, and is paid for in Proxeus’ own cryptocurrency token, XES. This method allows any storage provider to be able to connect to Proxeus via blockchain, and offer storage services to any user, with the currently standard monthly subscription contract completely replaced by the smart contract managing access to the storage. Users can choose their storage wherever and however they want, with the potential for unlimited storage without any contract risk. Every time a Proxeus-issued document is countersigned the storage DApp adds a level of validation which increases the documents trustworthiness. Every time a Proxeus-issued document is countersigned the storage DApp adds a level of validation which increases the trustworthiness of the document and also the trust of the issuer’s crypto-identity. As time goes by, the record of a user’s identity adds gravitas, as the documents are immutable and can be verified. “With its data storage module, Proxeus has essentially created a ‘circle of trust’ for KYC,” claims Cyrill Trondle, CEO of Swiss Crypto Exchange. The DApp is very easy to use. 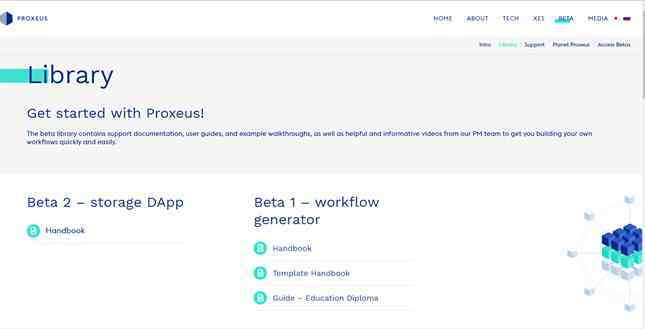 Proxeus already comes pre-packages with blockchain use case that lets anyone create and upload documents, register them, add contacts, share documents, sign documents, and have them audited by relevant third parties. Under the hood, the storage DApp is one of two existing modules for Proxeus, which has been dubbed as the “Wordpress for blockchain.” Its first module is a drag-and-drop blockchain workflow engine and document generator, which the company hopes will accelerate enterprise adoption of blockchain, by making the transition to blockchain-based workflows easier for the average organization. With the Proxeus workflow engine and document generator, users can easily create document, register and generate certificates of ownership over tokenized assets. With the addition of the data storage DApp, assets can be transmitted without having to go through an exchange. Users can store documents with the secure storage provider of their choice, and share them or provide access to them through the same mechanism with which they were enabled. Data storage can be tied into these custom-built workflows, which can generate follow-up documents or distribute of information. Proxeus-generated documents are machine-readable by design, and can be picked up by a Proxeus workflow – making Proxeus a key stepping-stone for digitization. This functionality greatly increases processing efficiency; for example, a purchase order created by a Proxeus workflow could automatically generate a confirmation or invoice based on the form data (i.e. address), enriched by internal data (i.e. price), generating an invoice which can be shared with the purchaser directly from the system. You can join the beta, test, access and try version two of the beta by visiting: beta.proxeus.com. You can download the Data Storage DApp, Tango V1.1 beta: here. 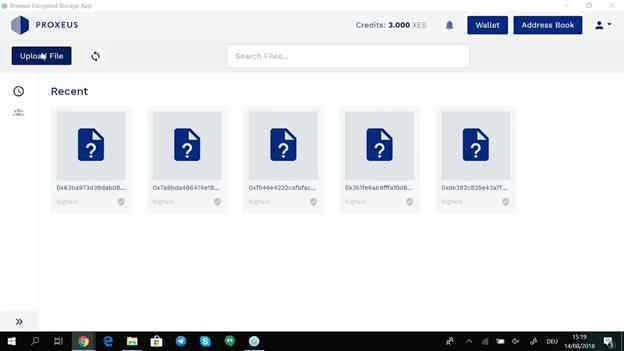 Below is an updated walkthrough video of the Proxeus Beta 2 Data Storage DApp, Tango V1.1 beta.